Speakerbus’ iTurret has successfully achieved Cisco compatibility certification with Cisco Unified Communications Manager (CUCM) 11.0. The Internet of Everything (IoE) continues to bring together people, processes, data and things to enhance the relevancy of network connections. As a member of the Cisco® Solution Partner Program, Speakerbus is able to quickly create and deploy solutions to enhance the capabilities, performance and management of the network to capture value in the IoE. Trading desks across the global financial markets rely on the Speakerbus iTurret to collaborate efficiently and securely with counterparties and colleagues. 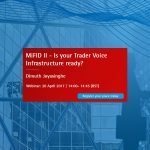 Using the iTurret, traders can make the most of opportunities while their firms control costs and adhere to global compliance structures such as MiFiD and Dodd Frank for voice data capture, audit and entitlement management. 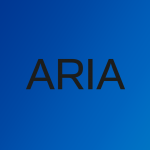 The software behind iTurret is designed to complement and enhance business continuity plans. The Cisco Solution Partner Program, part of the Cisco Partner Ecosystem, unites Cisco with third-party independent hardware and software vendors to deliver integrated solutions to joint customers. As a Preferred Solution Partner, Speakerbus has achieved Cisco compatibility certification on at least one solution, and can provide its customers with 24-hour, 7-days-a-week customer support. For more information on Speakerbus, go to: Marketplace.cisco.com.